KÖNIG GALERIE presents Michaela Meise's fourth solo exhibition. The title of the show Lachende Steine (Laughing Stones) refers to a series of sculptures of laughing people with clearly recognizable teeth. This natural laugh with subtly parted lips became quite popular for a short time during the 19th century, however in the classical canon, was generally viewed as ugly and frowned upon as a symbol of Vanitas. Four tower-like structures stand in the main exhibition space. The towers consist of several wood-core plywood boards assembled into each other at a right angle. On top of each of these structures lies a round plexiglass plate. Optically, these separate elements alluding to the stories of a building, are connected with a wooden rod which goes through a hole on the plexiglass plates. The oiled wood glazed over with aquarell paint presents traces of its previous history: marks of cutting and sawing, holes, rests of paint and covered-up perforations which break with the perfection of the homogenous effect of the surface. On the wooden boards, Meise has glued various photographs, images from catalogues and text pages which she collected, archived and copied out of books. Additionally, the different tower levels serve as a display for single books and small sculptures. All of these images, texts and objects have been put together in an associative manner and refer to the theme of laughter in sculpture. All in all, the research material chronologically encompasses elements ranging from the small statuettes reduced to a head with legs from Hellenic times (so-called “Baubos”), to essays from Helmuth Plessner and Henri Bergson on the subject of laughter, up to images of a pantomime taken from an American text book. Corresponding to four constructs of ideas, the four towers are the result of a content-based classification of the material: Meise named them the “Tour de Rire” (Tower of laughter), “Tour de Cri” (Tower of cries), “Tour de Lecture” (Tower of reading) and “Tour de Corps” (Tower of the body). Evoking furniture-like spatial structures, the four “towers” serve at the same time as supports, architectural models and sculptures. The rigorous minimalistic construction is broken by the intended provisional manner of manufacture, emphasizing handcraft. Functioning as mediums of information, the simple forms connect the various collage-like layers of information with each other and allow them to appear as a kind of complex system of reference. 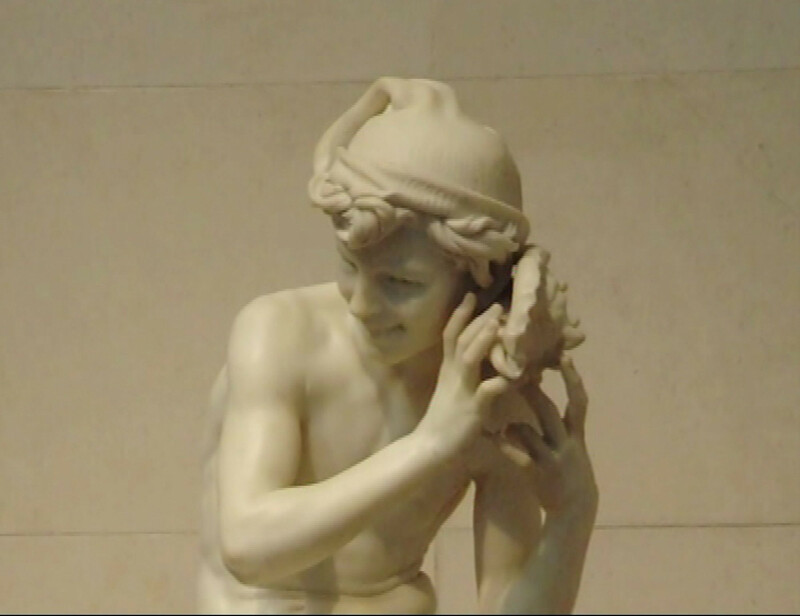 The video “Lettre to the Eltern” on show in the small exhibition space, deals with the French sculptor Jean Baptiste Carpeux and one of his most famous sculptures, the “Neapolitan Fisherboy”. It was this sculpture which served as a starting point for Michaela Meise's research. In 1857, Carpeaux wrote a melodramatic letter to his parents in which he described his experiences during his travels through Italy, during which time he also completed the aforementioned sculpture. Carpeaux was one of the first artists in the 19th century to fiercely promote and supervise the duplication of his own sculptures. In particular, he had countless replicas of the popular figure of the “Neapolitan Fischerboy” produced in his studio, in different sizes, materials and other variations. The different versions of the sculpture were photographed by the artist in several museums and can be seen in the video together with other images she found in catalogues and books. In addition to the sequence of partly animated images, the letter is also read out loud three times; one time alternating between German and French by Dirk von Lowtzow and Nadira Husain and lastly in English by Josephine Pryde. Michaela Meise (*1976), studied at the Städelschule Frankfurt a.M. 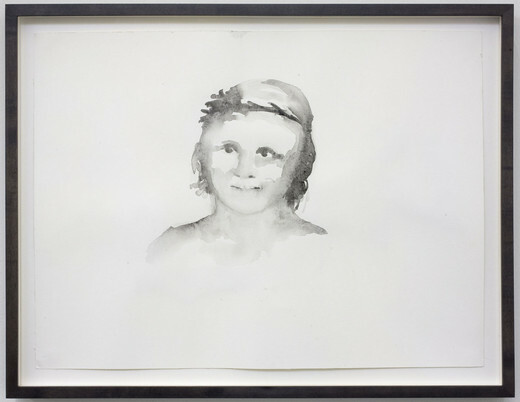 Her works were recently shown in solo and group exhibitions at the Badischen Kunstverein (“Ding und Körper”, 2009), the Chealsea Art Museum in New York (“Modern, Modern” 2008), at the Basis e.V. 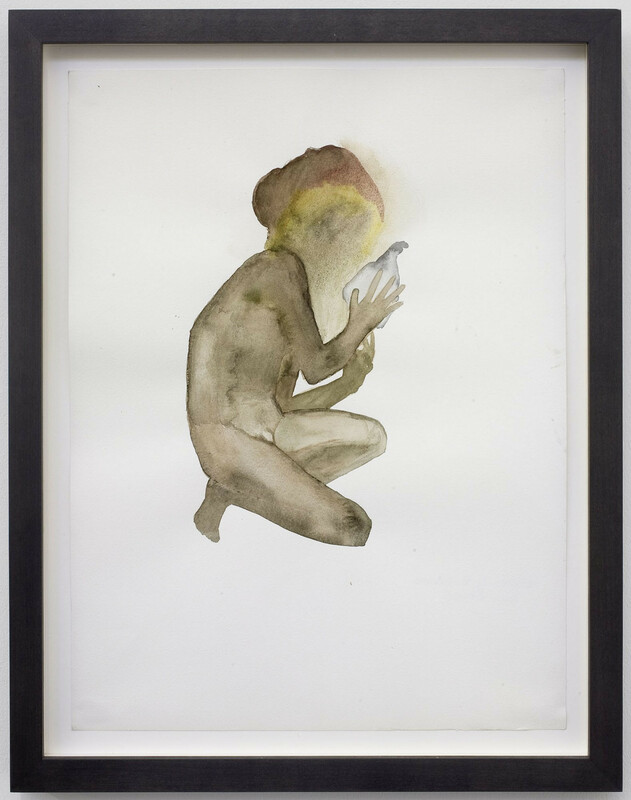 in Frankfurt (2008) as well as at the Greene Naftali, New York (2009). An individual exhibition is currently being planned for 2010 at the Grazer Kunstverein.